In 2015, when R. Vaughn Poppell and Tim Tucker founded Praesidium Homes LLC, a construction company specializing in insulated concrete forms (ICFs), their goal was to bring a superior method of building to the “average Joe” of Tallahassee, Florida, which meant overcoming how ICFs are viewed. ICF wall systems have been around since World War II, and are made by stacking interlocked panels of expanded polystyrene (a superior relative of Styrofoam), and filling the empty space between them with concrete. The result is a seamless concrete building that is naturally soundproof, resistant to mold, mildew and termites, has a four-hour fire rating and can even withstand 200- to 300-mile-per-hour winds, an important factor in Florida with its unpredictable hurricane season. However, ICFs have always been considered an expensive way to build a house, especially when compared to traditional stick frame homes. “But we’re finding that ICFs are close to the same price as your average stick frame home, and that’s not including the other financial benefits,” Poppell says. The concrete’s natural durability against storms, termites and damage in general means people pay significantly lower premiums for home insurance, and because the wall systems naturally conserve heat and provide better insulation, monthly energy bills are frequently cut in half. “Once people started learning about these benefits, I knew there was no reason why someone looking in the $250,000 to $500,000 range would not want this house,” Poppell says. It seems only right that co-founders, Poppell and Tucker, met on a construction site. In 2010, Poppell, a fourth generation Tallahassean and CEO of the financial advising company, Poppell Financial Group LLC, was considering building his own home using ICFs. “I liked the idea of a house that had exterior concrete walls all the way around, and there was so much natural appeal to it, and me being a financial advisor, if I can save money then I’m going to do it,” Poppell adds. Tucker had been building million-dollar ICF homes, churches and apartment complexes since 2004, and when Poppell asked him for a quote, Poppell was impressed by Tucker’s willingness to accommodate his design. Poppell started brainstorming potential names for the company, something that embodied the strength of ICFs, and while scouring the internet came upon “praesidium,” the Latin word for stronghold or garrison. This word described the way Poppell felt about his own ICF house, a feeling he wanted to share with more homeowners in Tallahassee, so on January 2015, Poppell and Tucker officially formed Praesidium Homes. 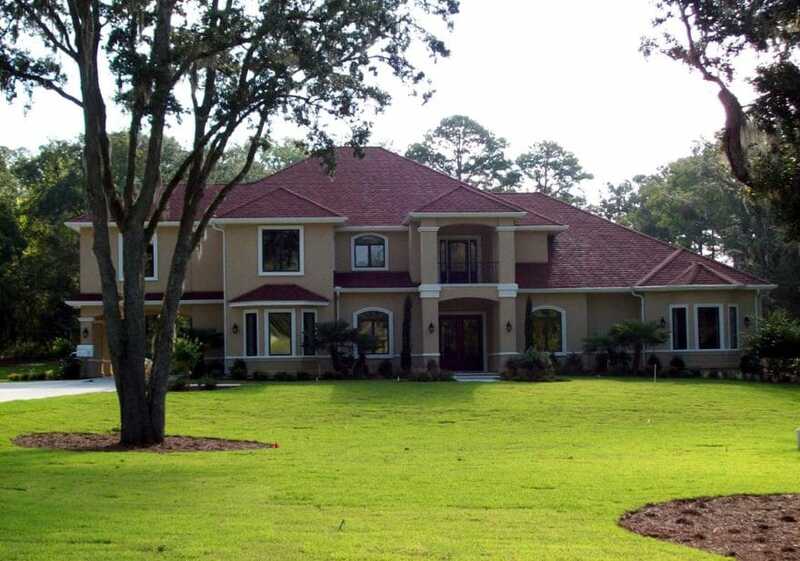 In two short years, the company has completed custom new home and speculation construction ICF projects across the greater Tallahassee area. Many homeowners and commercial businesses even use ICF construction as a way to achieve LEED certification, not only because it contributes to lower energy use, but because ICFs contain byproducts from oil refining, meaning the building process inherently uses recycled material. Praesidium Homes is looking to expanding into building apartments, and is currently bidding on a five-unit apartment complex in Wakulla County. Besides helping people rethink ICFs, Praesidium Homes would also challenge the way the construction industry treats its employees. In the future, Praesidium Homes even hopes to start a retirement program and offer healthcare benefits. In construction, employees rarely get benefits, such as vacation or holiday pay; instead they are usually compensated only for the hours they work. This can be a problem in a city like Tallahassee, when unexpected summer storms can halt construction projects for days on end, which not only changes the work schedule, but means employees won’t get paid until they can perform the work. Tucker and Poppell decided Praesidium Homes would pay all its employees for a minimum of four hours on these “rain days,” whether they were able to work or not. “Obviously, if they work over four hours they will get paid more, but we wanted to make sure our guys got at least something for their survival,” Poppell says. In addition, if a holiday, such as Christmas, Thanksgiving or the Fourth of July, falls on a weekday, they give the day off with pay. The company also has a tool care incentive program, which encourages employees to take better care of the company’s equipment. If Praesidium Homes doesn’t have to buy new tools, the savings go directly back to the employees. Poppell says these initiatives have proven to Praesidium Homes’ employees that the company cares about their well-being.